The July issue of CQ starts with an "out of this world" theme, taking a look at the W7P "Year of Pluto" special event station at the Lowell Observatory in Flagstaff, Arizona, where the dwarf planet was discovered in 1930. Of course, we've got a ham radio twist to the story that makes it extra special. We've also got an article that should be of particular interest to many of our older readers, who commonly are affected by some level of hearing loss. "Learning Curve" columnist Ron Ochu, KO0Z, writes about a particular type of directional hearing aid ("Yagis for Your Ears") that can also take a direct feed from your ham rig! 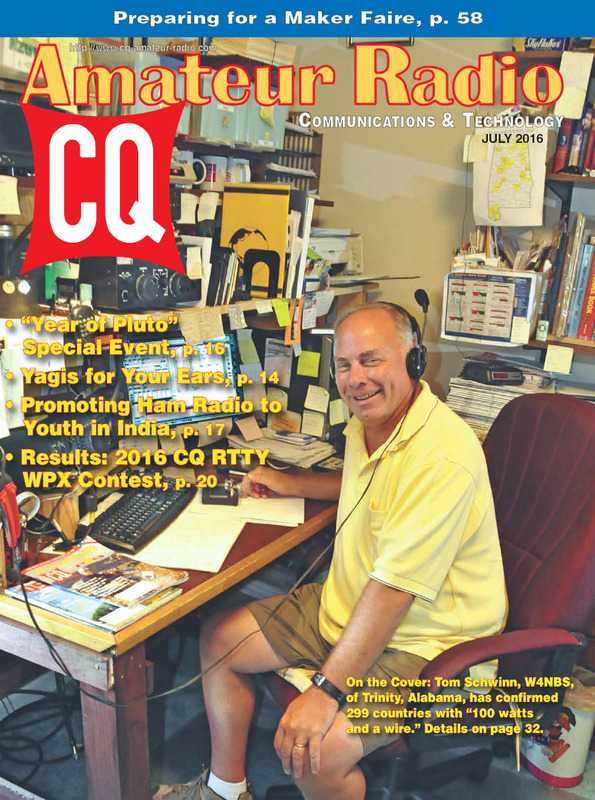 This issue also wraps up our series on using microcontrollers in your ham projects, efforts to recruit young people into ham radio in India, the results of the 2016 CQWW RTTY WPX Contest and our latest inductees into the CQ Amateur Radio, Contesting and DXing Halls of Fame. 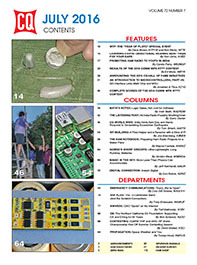 We've also got PSK-31 basics, a look at ultra-lightweight batteries, shortwave broadcast news about All India Radio, and more. Plus, exclusively here on our website, we've got a brief look at many of the new products introduced at this year's Dayton Hamvention®. 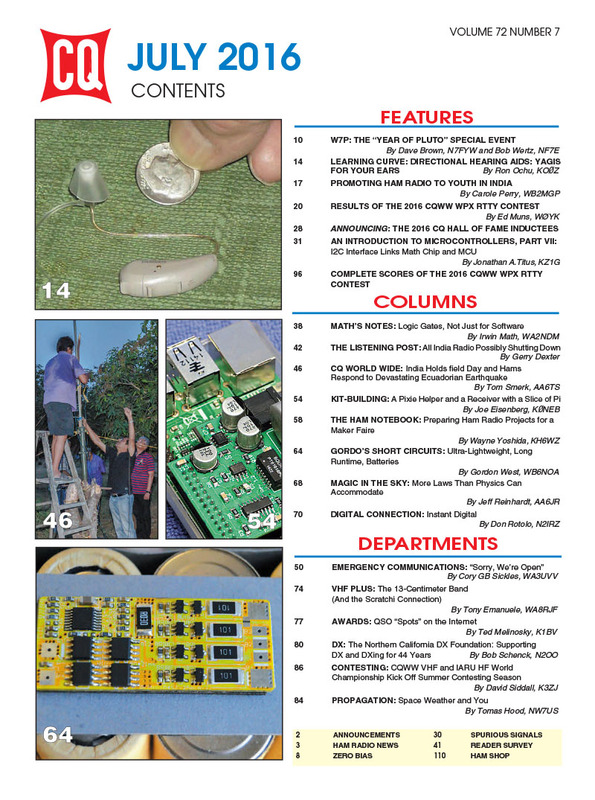 That's a brief look at what's coming up in the July issue of CQ magazine. For information on becoming a CQ subscriber - to either our print or digital edition - click here! On the Cover: Tom Schwinn, W4NBS, of Trinity, Alabama, has managed to rack up very impressive DXing numbers using mostly CW, 100 watts and wire antennas. © Copyright 2016, CQ Communications, Inc. All rights reserved. This material may not be reproduced or republished, including posting to a website, in part or in whole, by any means, without the express written permission of the publisher, CQ Communications, Inc. Hyperlinks to this page are permitted.